Maps, music and video-recordings can be effectively used to discuss the present and historical incidence of the plena. 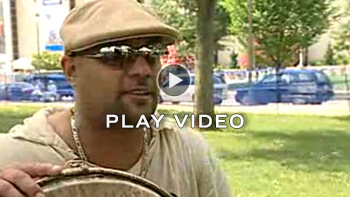 In the way that rap music is referred to as ‘the people’s CNN’, plena, an Afro-Puerto Rican musical form that has much in common with other Caribbean musical expressions, is sometimes referred to as “the newspaper of the people” as it expresses what is going on in the lives of working class people. Prerequisites: Students will do well to know the following vocabulary terms: verse, refrain, chorus, stanza, stigmatized. Students will listen to and begin to analyze music. Students will understand music in relation to history and culture. Students will describe the music that they hear. Students will learn about the history and purpose of plena, and about contemporary pleneros, or plena musicians. 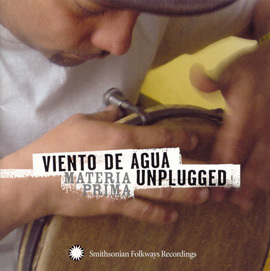 “Ahora Sí” by Viento De Agua Unplugged on Materia Prima SFW40513_101-DT. “El León” by Viento De Agua Unplugged on Materia Prima SFW40513_102-DT. Moore, Robin. 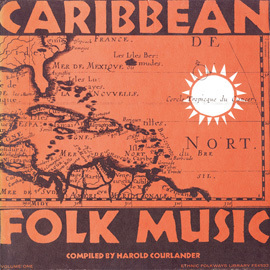 Music in the Hispanic Caribbean: Experiencing Music,Expressing culture. New York: Oxford University Press, 2010. Menkart, Deborah(ed.). 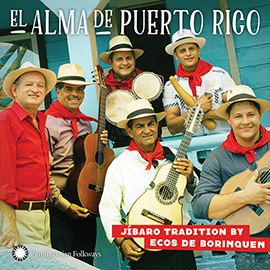 Caribbean Connections: Puerto Rico. Washington, D.C.: Network of Educators of the Americas, 1992. 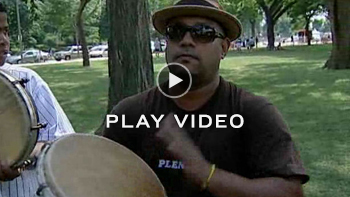 ***Strongly encouraged—if available— is the documentary film “Plena is work, Plena is song”. 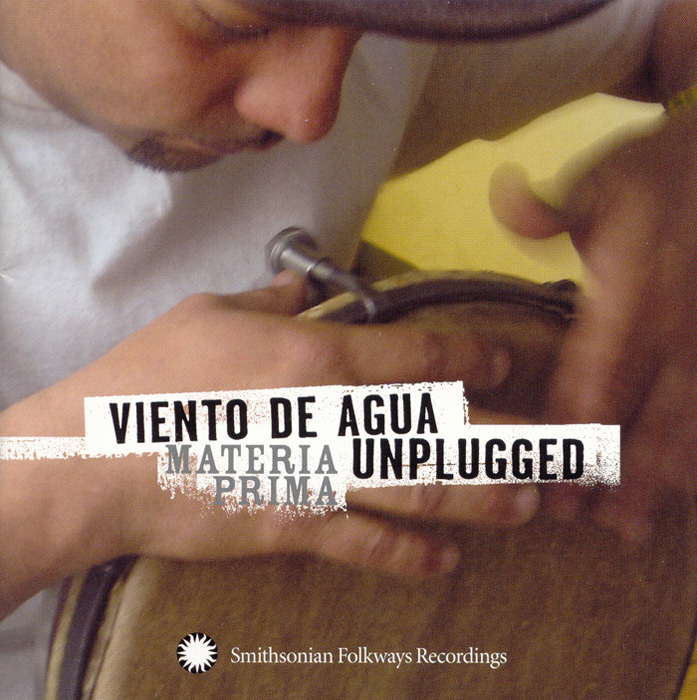 Attentive Listening: Students will listen to “Ahora sí”, a recording by Viento de Agua Unplugged. Integrating World Music: Teacher shows pictures of a plena drum (pandareta), güiro, güiro pick. 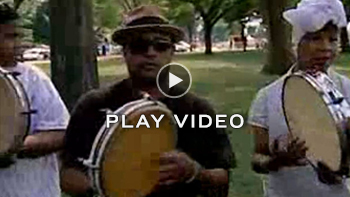 The guiro is from Puerto Rico’s native or indigenous heritage and the drums come from Puerto Rico’s African heritage. Engaged Listening: Students will listen to “Ahora sí”, another time while clapping their hands or tapping the table. Ahora sí, yo te traigo plena. Engaged Listening: Students will sing the refrain in Spanish with the teacher. Integrating World Music: Students and teachers discuss the refrain. Video: Los Pleneros de la 21 perform "Carmelina"
Integrating World Music: Review maps, instruments and concept and form of the plena. Attentive listening: Students will listen and watch the video of the Pleneros de 21 perform the plena “Carmelina”. Integrating World Music: Students will learn about the history of the plena. Students may read this as a handout. 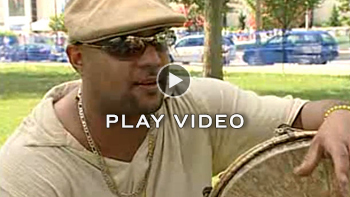 Plena is a twentieth century African Puerto Rican musical form that is both distinctively Caribbean and Puerto Rican. Plena is often called “newspaper,” because it talks about contemporary events, protest and struggle, scandals, elections, and other aspects of everyday life. Plena instruments include three or more panderetas, handheld frame drums, of different sizes: seguidor, segundo, and requinto, each playing a different rhythm, and a güiro. With roots in West Africa, plena also reflects music from other Caribbean Islands and is now a source of national pride and cultural identity for Puerto Ricans. After slavery was abolished in the Caribbean, the labor migration of freedmen, emancipated people, and other workers increased throughout the entire region. Puerto Rico was no exception; landless Puerto Ricans left the countryside to find jobs in the cities. People moved to Puerto Rico from English - speaking Caribbean islands such as Jamaica , St. Thomas, St. Kitts, and Barbados. A large number of these migrants of African descent joined Puerto Ricans of African descent in Ponce, a city in the south. Plena was born in the Ponce area’s working-class neighborhoods about 1898. 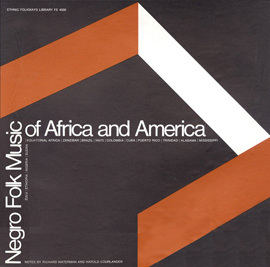 Plena was a stigmatized musical form as a result of its class and African origins. It was also at this time that the U.S. became Puerto Rico’s colonial ruler instead of Spain as a result of the War of 1898. Integrating World Music: Students discuss why it is that plena was stigmatized as a low status musical form and also why it is undergoing a resurgence today. 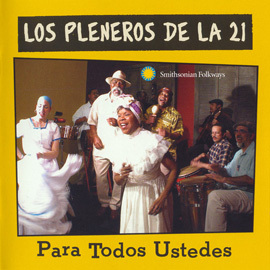 Engaged listening: Students will watch the short videos from the Smithsonian Folkways: “Drums in the Plena”, “Puerto Rican Community, and “Musical Traditions”. Students are encouraged to drum desks during music. While watching, students should jot down what is salient to them about the videos. Then students will discuss what they thought was important about the videos. Write one paragraph about the purpose that plena serves for Puerto Ricans today. Integrating World Music/Engaged listening: Students will listen to “Ahora sí” again and remind themselves of the pattern of plena in the song. Students may clap and dance in seats. Students are encouraged to play with pandereta and guiro along with the recording. Enactive: Students are encouraged to play with pandereta and guiro along with the recording. Integrating World Music: Students will note that the plenas looked at here have not been “newspapers” in the way that plenas have traditionally been used. Creating World Music: Students will create and perform their own plenas as newspapers. Two students will receive a slip of paper with the same topic. Students with the same topic have thirty minutes to come up with a plena. For each plena, students will need at least 4 stanzas (together) with a refrain or chorus. Topics: Puerto Rico: Statehood/Commonwealth/Independence, the Tea Party, No Child Left Behind, Student activism here and in Egypt, Social Security, Gentrification, Mortgage/Economic crisis, Wall Street, War in Libya, War in Afghanistan, Healthcare/Social Security, Lack of representation for the people in Washington, D.C., Climate change, President Barack Obama, Former President George W. Bush, Democratic party, Republican Party, etc. Creating World Music: Students are encouraged to play with pandereta and guiro in inventing a rhythm that works well with the rhythmic recitation of the stanzas they have composed. Students are required to write plenas and perform them. What makes these compositions plenas?